• Fill in and check all the documents for application and credit information collected by Credit Officer before site visit. • Check customer liabilities, repayment history and recent inquiries for other financial institutes through Credit Bureau Cambodia (CBC). • Complete validation form with general comment and make decision for approval or reject, then pass the documents for Credit Assessment by examining all documents for application and CBC report in accordance of underwriting policy. 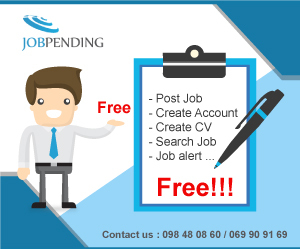 • Request additional information of application from Credit Officer or directly to applicant when appreciate. • Provide an exact information. • Render application decisions based on consultations with supervisory underwriters and upper management. • Report status of daily operation and its problems to Supervisor or Upper management to get an instruction. • Do corporate with another department to make process smoothly. • Other duties are assigned by Supervisor. - Bachelor’s degree in business or related field. - Knowledge of regulatory issues in both underwriting/ finance and real estate.